It’s about making the best decisions for you, your family and your home. 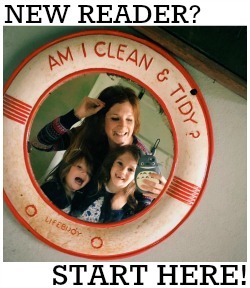 Of course there are numerous ways to child-proof your home; baby gates, cupboard locks etc. But have you ever considered the suitability of your floor? A lot of people tend to disregard flooring and the impact that their family can have on it, but when you really think about the battering that our floors take from either us adults, the kids - or even pets! - you realise just how important they are. There isn't a standout winner when choosing the 'perfect; family floor - it all depends on what it is you want; whether that’s durable, eco-friendly, nice and soft or maybe all of them? Yesterday I talked about tiled floors, today I'm going to give you a few more options. While the thought of installing a wood floor may initially confuse some parents mainly due to the expense of them, they’re actually a solid (see what I did there!?) choice for a family home. 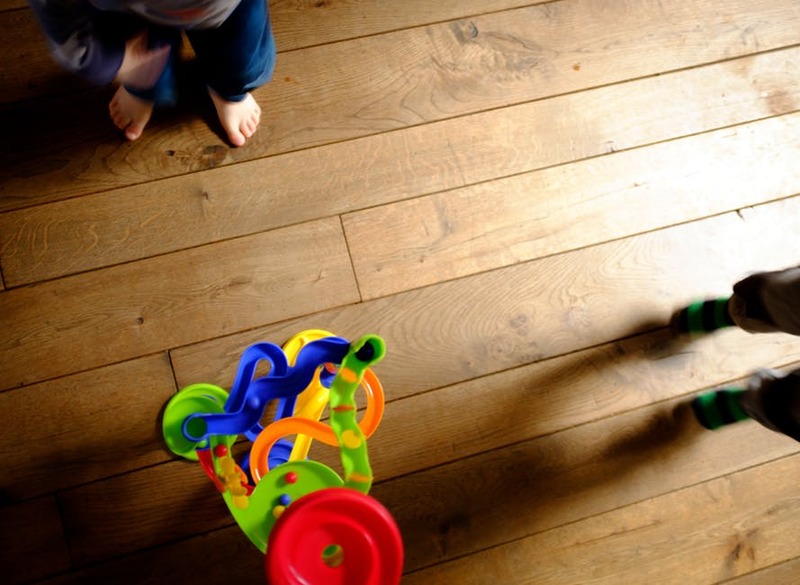 One of the key factors when choosing a floor that’s child-friendly is the durability of the material and you don’t get much tougher than real wood. As mentioned previously, a lot of people often overlook wood floors due to the comparison of cost between them and other floors, however, wood flooring is seen as more of an investment as oppose to a purchase. They have an incredibly long lifespan due to the fact that they can be sanded and refinished multiple times after purchase, so if they start looking a little worn they can be fixed up quite easily, because of this most wood floors actually outlive a house. All these qualities make it a perfect choice for a home that contains little ones who love to cause mass destruction! Although bamboo has become an increasingly popular choice in the flooring world, many people are still baffled when it is first mentioned. How is it that the staple part of a pandas diet is now a familiar face around the home? Well, there are many benefits to bamboo flooring and one of the main ones is how environmentally-friendly it is in comparison to other floors. Unlike wood flooring, bamboo is actually classed as a grass and instead of having to wait up to 30 years for it to be fully grown it only takes 5! So if you’re trying to create an eco-friendly home for your family bamboo flooring is a good place to start. Aside from being great for the environment it is also surprisingly durable and could easily be mistaken for solid wood, minus the price tag! Bamboo can be used pretty much anywhere in the house but it tends to be installed in bedrooms, lounge areas and kitchens as opposed to the bathroom. Last but by no means least we have Vinyl flooring, which over the years hasn’t always had the greatest reputation. However we object, this is a floor that should not be overlooked. Vinyl is not the cheap and flimsy product that it was 30 years ago, it has come a long long way since then and even has a ‘Luxury’ brand now! Out of the three floors listed, vinyl is probably the most budget-friendly and lets be honest, who doesn’t love a bargain when you have so much else to fork out for?! Vinyl is baked with a thin layer of felt or foam (it depends on the manufacturer) which results in a much softer surface than other floors, ideal for a home with small children who have recently found their feet. Aside of being softer on the surface, it is also really easy to clean and maintain. Unlike carpet where you’d be worry about things staining, any spills will sit on top of the surface until you discover them and wipe them up. So there you have it, an overview of some of the most family-friendly floors!